She attended Portland schools and was employed at Winship Green Nursing Center in Bath for 30 years retiring in 2017. On June 7, 1997 she married Dwight Furbish. 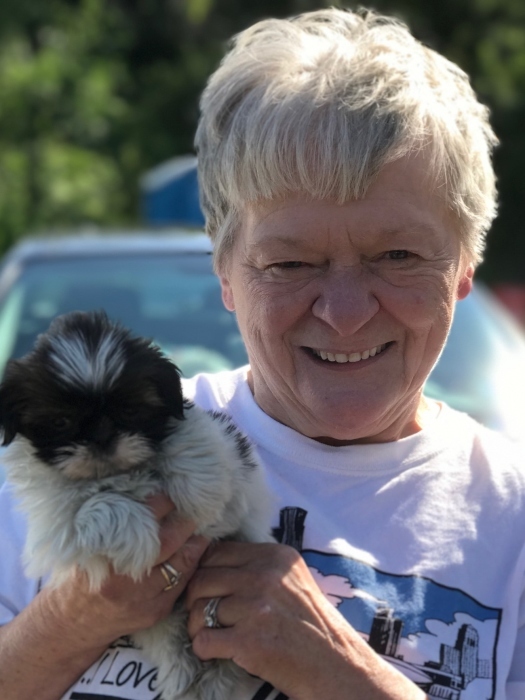 Helen enjoyed gardening and especially spending time with family, grandchildren, and her dogs. She was predeceased by her father, Bernard Reinholdtsen, and one sister, Ann Marie Toth. Helen is survived by her husband, Dwight Furbish of Bath, one son, James Furbish Jr. of Bath, three daughters, Lisa Moore and her husband Arthur of Brunswick, Christy Furbish of Bath, Jennifer Furbish-Pell and her husband Jimpson of Albany, NY, one stepson, Dwight Furbish of Pittston, four stepdaughters, Vicki Burgess of New Orleans, Jodie Read of Lewiston , Alma Richards of Lewiston, Angela Furbish of Bath, three brothers, Billy Reinholdtsen of Bristol, Stephen Reinholdtsen of N. Berwick and James Gerhart of N. Berwick, two half-brothers, Chet Stevens of Portland and Michael Stevens of Florida, three sisters, Diane Thibeault of Richmond, Eileen Kopack of Lewiston and Nancy Brezkowski of Bath, several grandchildren, Jessica Heffron, John Ragnar, Desiree Furbish, Michael Flowers, Alexus Hargett, Darius Hargett, Sabastian Furbish, Meadow Furbish, and many great grandchildren, one great great granddaughter and numerous nieces and nephews. Visiting hours will be from 2 to 4 PM and 6 to 8 PM on Friday, October 19, 2018 at Daigle Funeral Home, 819 High Street, Bath. A funeral service will be held at 1 PM on Saturday, October 20, 2018 at the Funeral Home. Memorial contributions may be made to the Midcoast Humane, 190 Pleasant Street, Brunswick, 04011. Condolences may be made online at www.DaigleFuneralHome.com.